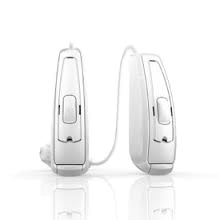 Our office provides a full battery of hearing tests including unsedated ABR as well as dispense digital hearing aids from the top manufacturers in the business. We provide experienced hearing health care from toddlers to adults. The typical cost PER new hearing aid will vary between $500 to $1500+. Click here for more info on the breakdown of the costs. View the different styles and sizes of hearing aids offered in our office here. The hearing aid companies that our office works with primarily are WIDEX and PHONAK. 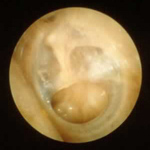 However, we can also service hearing aids made by RESOUND, OTICON, SIEMENS, UNITRON, and STARKEY. All hearing aid users will be given a Trial Adjustment Period of no more than 45-days beginning the day of the fitting. If the hearing aid(s) are returned for any reason within this 45-day period in the original condition, Fauquier ENT Hearing Aids, LLC agrees to refund the full purchase cost of the hearing aid(s). Professional fees are NON-REFUNDALBE and include: Hearing Aid Evaluation, Hearing Aid Fitting and Dispensing, Custom Earmolds and Accessories. If the hearing aid(s) are damaged in any way from the new condition, are lost, or if the Purchaser does not return the hearing aid(s) within the 45-day Trial Adjustment Period no refund will be given and the hearing aid(s) will be deemed purchased in full. 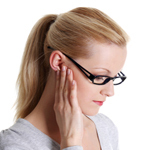 Determine if there is need for further testing or medical clearance to pursue hearing aids. Patient is given information regarding hearing loss and hearing aids. Most health insurances will cover the cost of a complete hearing evaluation which is $137, however copays and deductibles will apply. Counseling on lifestyle, listening environments and self-assessment of hearing loss. Discussion regarding patient preferences for amplification and Audiologists recommendation. Review of itemized cost and payment options. 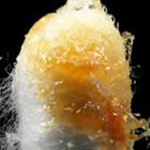 Ear mold impressions and/or ear measurements if hearing aids are ordered. The cost of professional services provided at this visit is $150 even if hearing aids are not ordered. Single unit cost of a hearing aid varies based on the level of technology ranging from $500 to $1500+ per aid. More info on cost here. Counseling on maintenance, care and use of hearing aids. Functional gain assessment and environmental sound demonstration. Schedule follow-up visits for the six week Trial Adjustment Period. Purchase agreement reviewed and signed. Payment is due at this visit. The cost of professional services provided at this visit is $390 . This is in addition to the cost of the hearing aid(s). Payment is due in full at this visit. More info on cost of hearing aids can be found here. Appointments for maintenance, checks, or repairs that occur after the 45-day Trial Adjustment Period will be billed for professional services. Maintenance checks are recommended at least every 6 months. When a hearing aid malfunctions and cannot be repaired in-house, it will be sent to the manufacturer for an in-warranty or out-of-warranty repair. Professional servicesrelated to hearing aid checks, adjustments and/or reprogramming will billed for every repair, regardless of warranty status. Out-of-warranty repairs will incur a service charge from the manufacturer and our office. Hearing aids dispensed by Fauquier ENT Hearing Aids, LLC are dispensed with a manufacturer’s service warranty for a period of 1 to 3-years. This warranty covers manufacturer services ONLY, not services performed by our office. Appointments for maintenance, checks, or repairs that occur after the 45-day Trial Adjustment Period will be billed for professional services. Maintenance checks are recommended at least every 6 months. Patients can choose to be seen as often or as little as they deem necessary. When a hearing aid malfunctions and cannot be repaired in-office, it will be sent to the manufacturer for an in-warranty or out-of-warranty repair. Professional servicesrelated to hearing aid checks, adjustments and/or reprogramming will billed for every repair, regardless of warranty status. Out-of-warranty repairs will incur a service charge from the manufacturer and our office. Please see the attached list of charges associated with each visit type. All services provided are self-pay, we do not bill any health insurance for hearing aids or related services. Fauquier ENT Hearing Aids, LLC does not participate with any health insurance carrier. Therefore, we do not bill health insurance for hearing aids or any hearing aid related services. For those patients with hearing aid benefits, an invoice will be provided to you to submit for direct reimbursement from your carrier. Please see the attached fee schedule for the costs of hearing aid related services per visit. Full Payment:Payment is due in full at the hearing aid fitting. Care Credit Financing: Online application process with instant approval available. No interest plans are available for 6 / 12 / 18 months with no down payment required. Payment options, terms and conditions are determined solely by Care Credit. There are some reasons why hearing aids may not completely restore hearing that patients should be aware of. The most important one is that human hearing is based on volume and reception. The best analogy is to imagine your hearing to be a radio. A given radio has a volume knob that one can adjust up or down as well as antenna reception which allows one to get a clear signal vs one full of static. If there has been damage to the radio's antenna, it does not matter how much you increase the volume...the signal will still be full of static. Similarly, hearing loss may be a volume issue and/or a reception issue. Hearing aids can only amplify volume. Hearing aids CANNOT improve reception. The hearing test we perform gives us an idea of both volume and reception aspects of your hearing loss and provide guidance in how much hearing aids may help. For more information, please email Dr. Catie Chalmers directly or contact our office and ask to speak to her. Am I a Candidate for the Bionic Ear??? 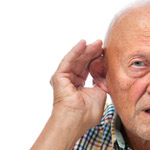 Why Don't Hearing Aids Help Everyone With Hearing Loss?